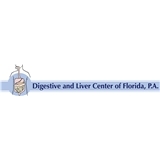 Digestive and Liver Center of Florida (Orlando) - Book Appointment Online! The Digestive and Liver Center of Florida was co-founded in 2005. Our vision was to create a sophisticated medical practice that emphasized in equal parts state-of-the-art medical care along with a warm and caring environment for patients. We offer clinic hours on Saturdays and we also do procedures on Saturdays as well. We offer a free monthly nutrition class.